For indoor/outdoor use. 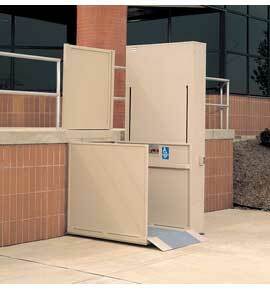 When you need a steel wheelchair lift with a travel distance up to 12', the VL is your best value. Using a monorail guiding system and ACME screw lifting mechanism, VL can take the punishment.